I have a tail set with belly band/bustle and cup for the tail and a chest piece. 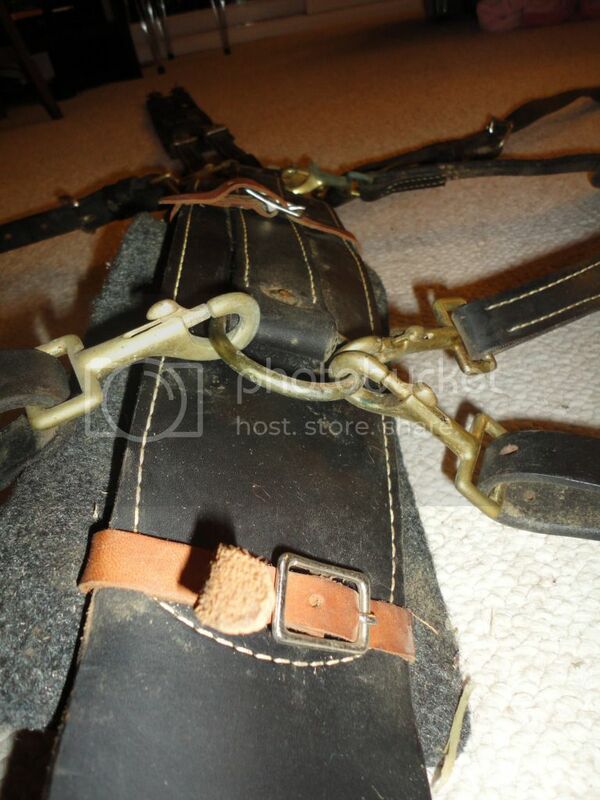 The tail set was used by my good friend who showed Walking Horses. It looks like it was rarely if ever used, though I do need to give it a good cleaning. Disclaimer: Forgive me if I am using incorrect terminology. I’ve been googling this thing like it’s going out of style because I’m not familiar at all with these types of contraptions ;). It does have a nice quality leather and looks to be a nice set. If you’re interested, let me know and we can work out a price!I can send more pictures and answer any questions to the best of my ability! How much do you want for this?